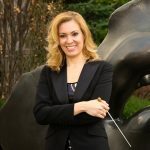 Brazilian-born conductor Danielle Lisboa has a doctorate in orchestral conducting from the Eastman School of Music, University of Rochester.S​he has built a solid reputation in Canada… (read more). Originally from Godoy Cruz Mendoza Argentina, Nicolás Arnáez is now based in Edmonton Alberta, Canada. 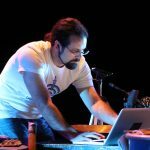 His music compositions use as a root the concept of interactivity in music, which applies in electroacoustic pieces with real-time sound processing … (read more). 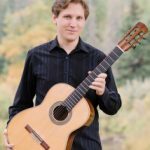 In 2015, Trevor Cooper was one of 14 internationally selected guitarists to study in the III Master in Classical Guitar Performance at the University of Alicante in Alicante, Spain.Trevor Cooper There he studied with Grammy award-winning artists David Russell…. (read more). One of Edmonton’s most sought-after violinists, Virginie Gagné has been involved in numerous local musical events since her arrival in Edmonton, Alberta in 2006. Her playing style transcends musical genres, from baroque to pop to new music. She has been a featured soloist … (read more). 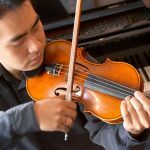 Violinist FRANK HO enjoys a dual career as a chamber musician and pedagogue. He holds Bachelor of Arts and Master of Arts degrees from the University of Alberta, as well as a Certificate in Performance and a Master of Music degree from Yale University… (read more). Jolaine Kerley is active as a soprano soloist, voice instructor, adjudicator, choral conductor, and clinician. 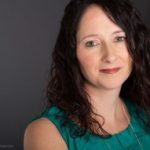 She is currently adjunct professor of music at Concordia University of Edmonton, while maintaining a large private voice studio in Edmonton and area. Jolaine has been… (read more). 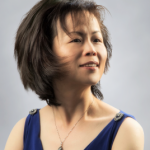 Ping-Shan Liao has presented numerous solo concerts and fascinated audiences worldwide with her musical talents. 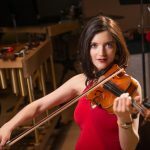 Throughout her career, she has also collaborated as a chamber and concerto pianist, appearing with the International Chamber Ensemble De Rome, the Concordia Symphony Orchestra, Edmonton Festival City Winds…(read more). 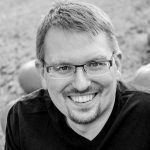 David Mitchell is an Edmonton string educator, composer and church musician. With a BMus from Wilfrid Laurier University, and a MMus from the University of Alberta, as well as extensive training in Suzuki pedagogy, David has taught a large violin and viola studio in Edmonton… (read more).